This past December was a weather rollercoaster in Dallas - cold then really warm, with lots of cloudy days - which made it a challenge to schedule sessions. Fortunately for me, most of my clients are pretty tough when it comes to cold weather and I’ve discovered that film is magic on overcast days. Allie and Patrick braved the gloomy cold weather for an engagement session in Dallas and as a result they were rewarded with a little fall color and a touch of moody lighting. Allie’s purple coat really popped against the gloomy weather and worked perfectly with the winter and fall landscape tones. The connection between these two is so sweet! 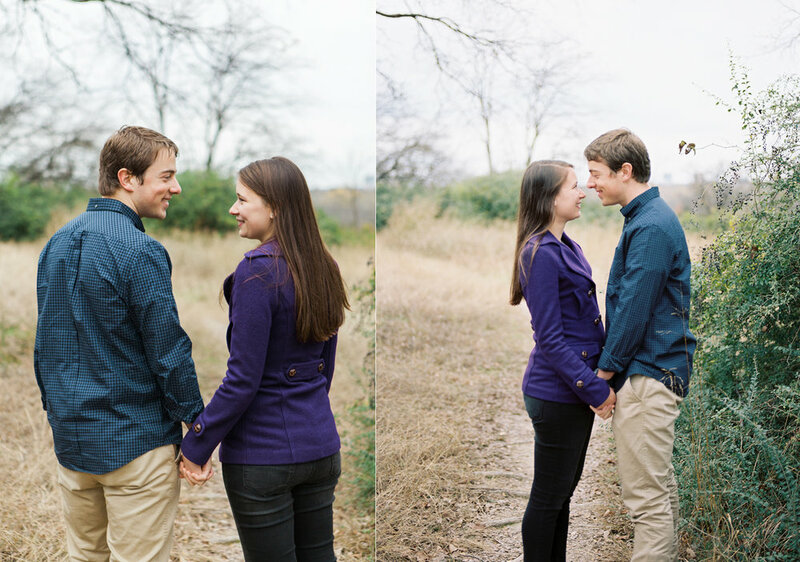 It’s always so much fun to work with couples that can just be themselves and let their natural chemistry shine. 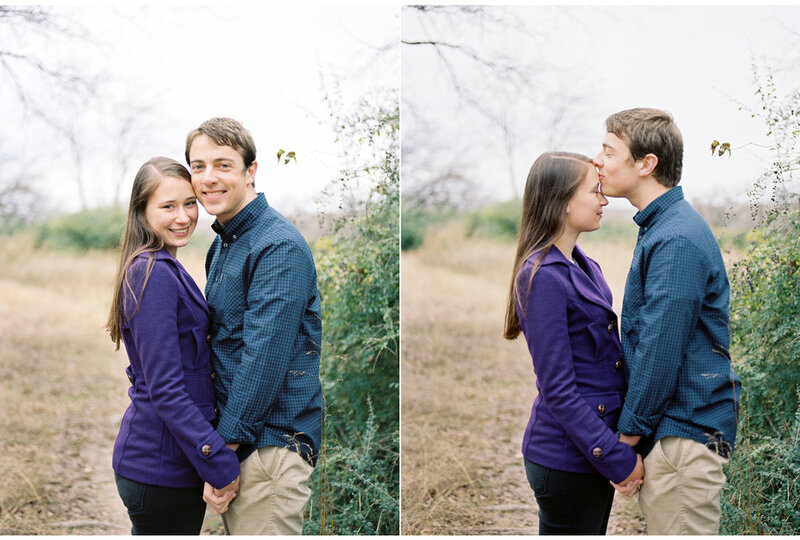 Congratulations to Allie and Patrick on their engagement and upcoming wedding at Camp Lucy in Austin!